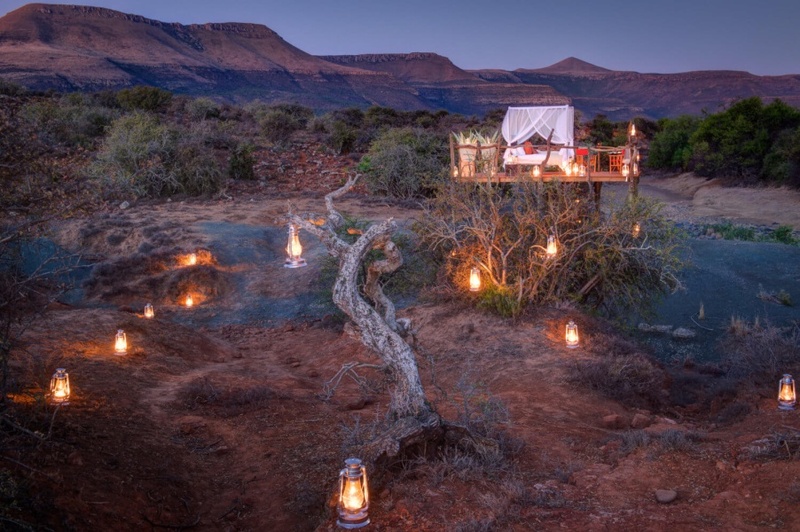 Samara Private Game Reserve is a place where time stands still – it’s a wilderness of 70 000 protected acres in the malaria-free Great Karoo. All of the ‘Big Five’ inhabit this world. Be inspired by Samara’s conservation projects; walk-and-stalk the highly endangered cheetah; explore the untouched plains viewing magnificent herds of antelope; delight in the mountain plateau where Cape Mountain Zebra have found safety; view fossils predating the dinosaurs, as well as ancient Bushman paintings. Luxurious, 5-star standard accommodation is provided for individual travellers, couples and families at Karoo Lodge, whilst the Manor House is a splendid sanctuary that is available to small groups and families on an exclusive-use basis. There's currently no specials at Samara Private Game Reserve. Small informal conferences can be accommodated for groups ranging from 4 - 16.